Tis the season of awesome fresh produce and sunny skies. This is the perfect combination for BBQing! There are so many awesome meats that get sizzled on the grill, but veggies are also a big hit! Somehow grilling up your potatoes or peppers just makes them taste so much better, right? Common vegetables to throw on the grill are: corn, peppers, potatoes, onions, eggplant, tomatoes, zucchini and more. One that you may not think to grill is the delicious asparagus. Such a thin veggie will just fall through the bars…not anymore! This tasty and flavorful veggie is a must at your next BBQ. 1 Asparagus can be green, white or purple. 3 Choose bright green asparagus stalks with purple-tinged tips. 4 Look for stalks that have a smooth skin, uniform in color and have a dry, compact tip. Avoid wilted or limp stalks. Shriveled stalks are a sign of age. 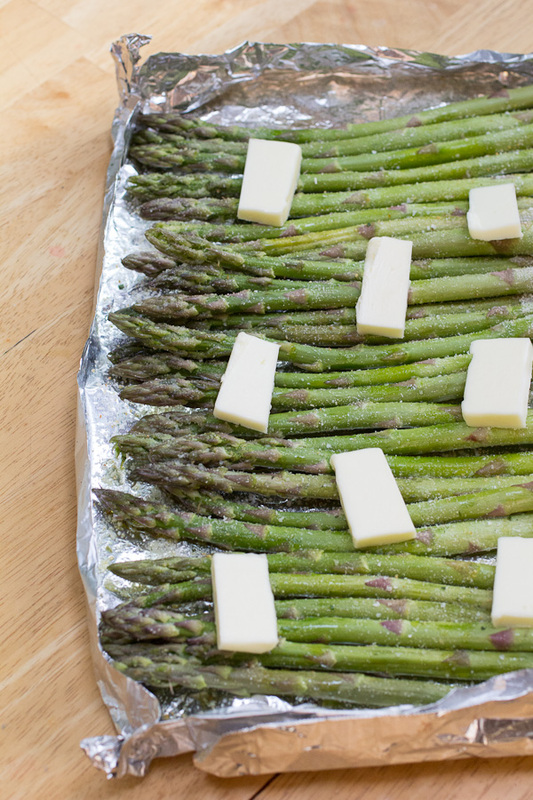 5 To store asparagus, wrap the stem ends in damp paper towels for several days. To extend the life, refrigerate stalks, tips up in a cup of shallow water. 6 To prepare, trim woody ends from asparagus spears. You can cook the spears as they are, or peel the skin (with a potato peeler) to make stalks more tender. 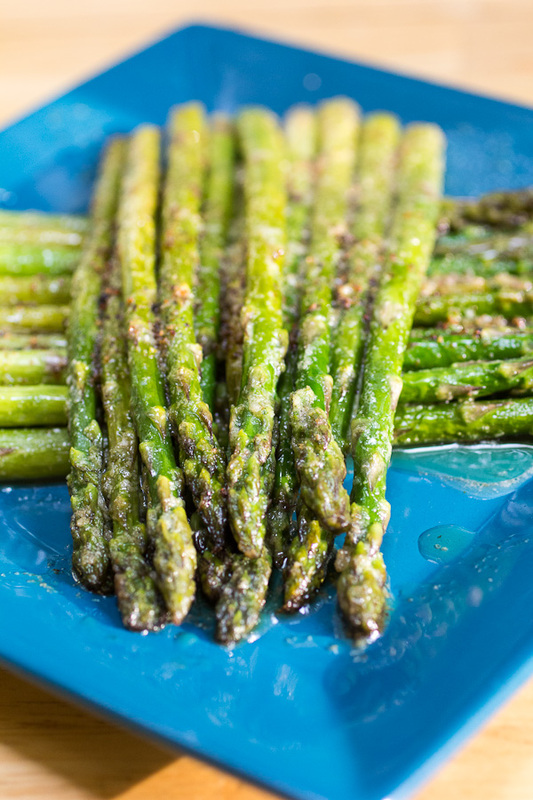 7 Asparagus can be broiled, steamed, grilled, roasted or sautéed. 8 Asparagus is high in fiber, folate and potassium. 9 Asparagus contains bone-building vitamin K along with many antioxidants, including vitamins E, A and C.
10 Each spear of asparagus has just 4 calories and contains no fat or cholesterol. 11 It takes three years for asparagus to go from seed to harvest. 12 China outdoes the world in asparagus production, by far. But in the United States the three states who grow the bulk are California, Washington and Michigan. There are a few things you’ve got to remember when grilling with veggies. Adding spice or flavor to your veggies is a must. There are lots of different herbs and blends that mix great on grilled veggies. The biggest and most important is salt and and oil. Using butter or olive oil is great to get those awesome flavors to stick onto your vegetable. When you’re grilling vegetables, it’s important to stay pretty close to the grill. Every grill has spots that are hotter than others so vegetables in one area of the grate will be done before others. And, of course, different vegetables will take varying amounts of time to be cooked through. So stay close so you can flip veggies over and pull them off the grate as they are ready. The Perfect Grilled Asparagus is a special treat for the summer months when asparagus is tender and plentiful, and we like to have it as often as possible. My husband LOVES this green plant, so I better figure out how to grow it in the garden quick! The flavor combo of this dish is to die for and will have even your pickiest eaters wishing for more! A major trick in the kitchen is butter. Lots of butter. These greens will want to melt in your mouth with the amount of butter and delicious flavor combos on them. The recipe is a hit on the Pinterest feed and will be a party in your mouth at your next BBQ! Simply make a little package out of tinfoil and lay your asparagus in it. Then drizzle them with all the delicious ingredients below! Cook on the grill for about 8 minutes (or to your liking of crunchiness).